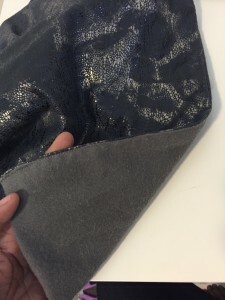 I bumped into this pretty metallic suede fabric at my local Joann’s the other day and wanted to create something unique with it. 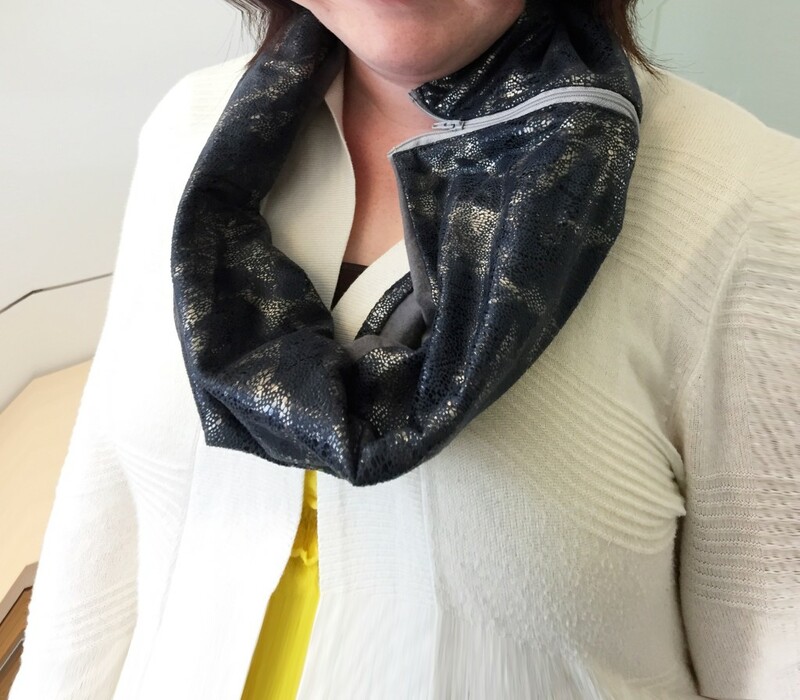 I am sure you guys have seen cowl scarves all over Pinterest but have ever you seen one with a zipper? 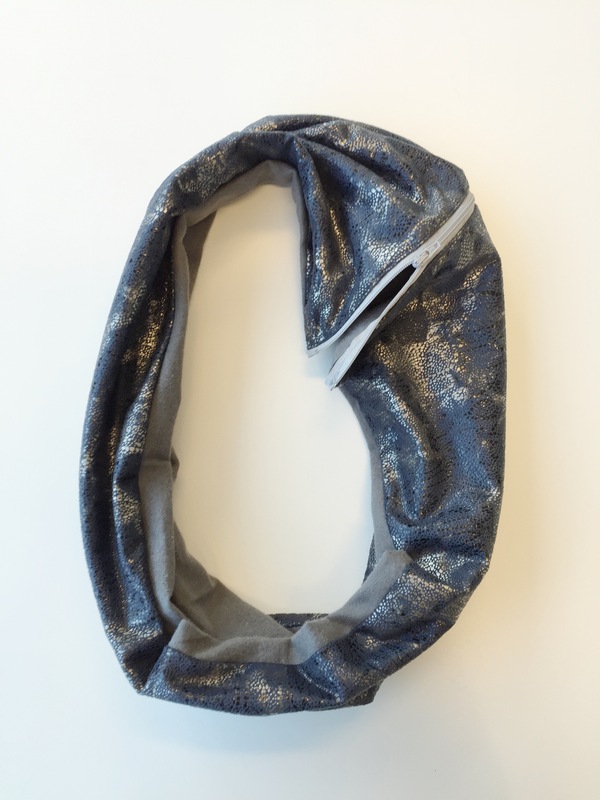 I thought this zipper cowl was a cool twist to the ever so popular infinity scarf. The inside has soft flannel and the outside is made with suede fabric. 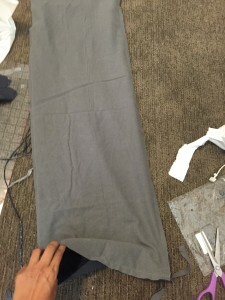 The suede adds some body to the scarf so that the zipper can be showcased. This project literally took less than 15 minutes and I honestly think it will be a great accessory to any outfit. I love the metallic sheen on this outer fabric. It just adds a touch of glam to any outfit! Here is my friend at work being a good sport and modeling it for me. 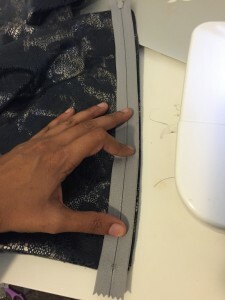 Sew the flannel and suede right sides together leaving about 5″ open. 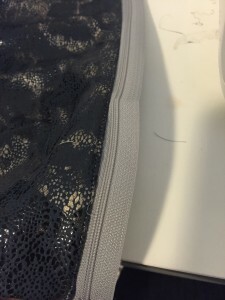 Top stitch the opening closed as well as both of the short sides. This will help the zipper go on easier. 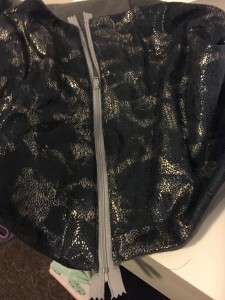 Place zipper right side down. Sew closed then top stitch. Repeat for the other side.